Explanation: To see a vista like this takes patience, hiking, and a camera. Patience was needed in searching out just the right place and waiting for just the right time. A short hike was needed to reach thisrugged perch above a secluded cove in Julia Pfeiffer Burns State Park in California, USA. And a camera was needed for the long exposure required to bring out the faint light from stars and nebulae in the background Milky Way galaxy. Moonlight and a brief artificial flash illuminated the hidden beach and inlet behind nearby trees in the above composite image taken about two weeks ago. 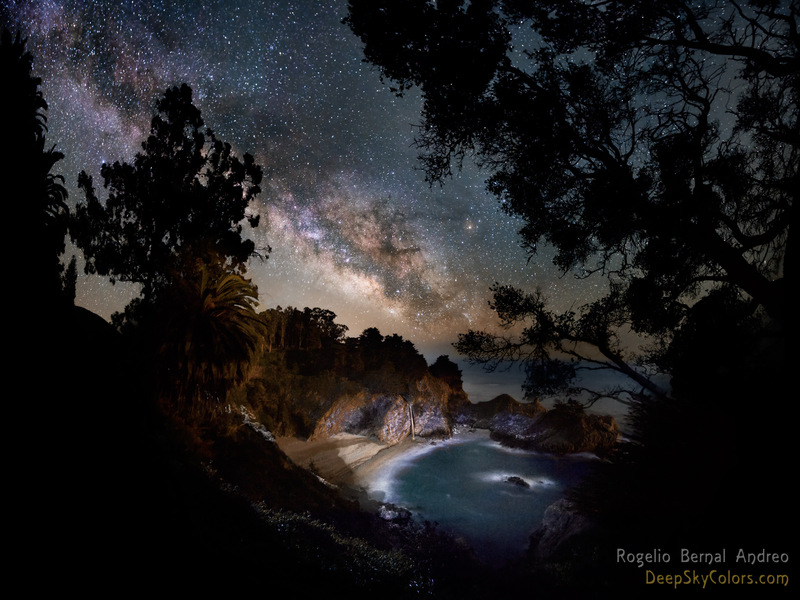 Usually obscuredMcWay Falls is visible just below the image center, while the Pacific Ocean is in view to its right.